Brilliant, incisive and savagely funny, award-winning author Martin Amis, named by the Times as one of the greatest British writers since 1945, is frequently controversial but never dull. 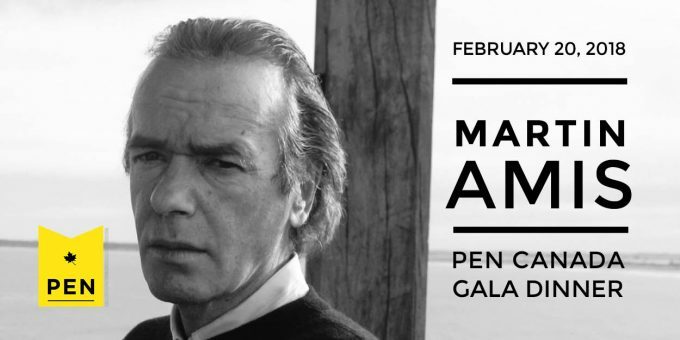 Join PEN Canada and Martin Amis for an intimate evening of conversation ranging from Saul Bellow to Donald Trump: incendiary politics, literature, and the madness of crowds. This event is in support of PEN Canada and authors worldwide, advocating for the peaceful exercise of their right to freedom of expression. To purchase tickets and tables please call Amy Smith: 416 703 8448 ext 2223.